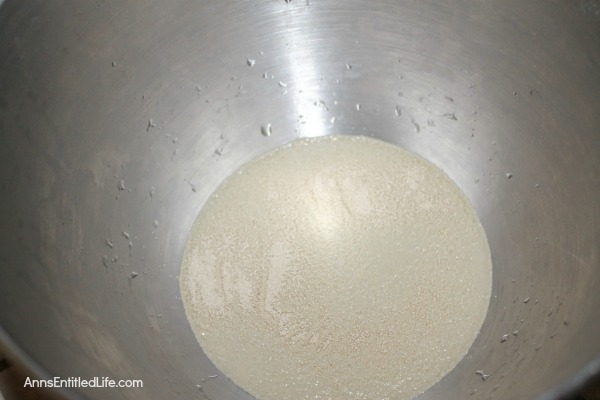 • Pour warm water into a bowl (the bowl for your stand mixer works well), sprinkle yeast over the warm water (make sure water is not too hot) and let sit for about 5 minutes. • Add in melted and cooled butter, milk, sugar and salt. • Add 1 cup of flour and incorporate into the milk mixture. Add the other 4½ cups, 1 cup at a time. The bread dough will start to form. If you are using a stand mixture this is the time to switch to the hook and let it knead the dough for 10 minutes. If you are not using a mixer you can knead the dough by hand. • If the dough is sticky add more flour one tablespoon at a time. Ideally, your dough will be smooth and will bounce back when poked. • Oil a large bowl and form the dough into a ball. Cover the dough ball with a towel, and allow it to rest in a warm place, until the dough ball has risen and doubled in size; approximately one hour. 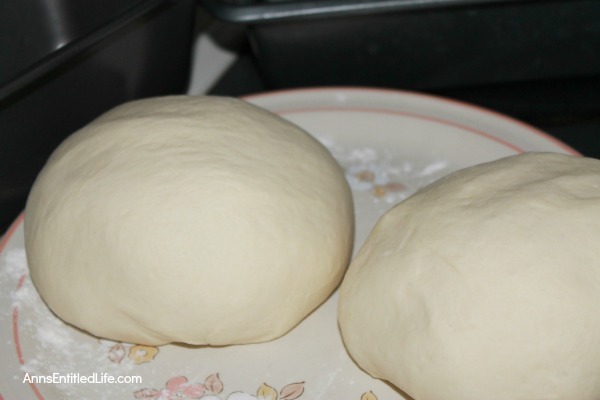 • Once the dough has risen, remove the dough from the warm place and divide the dough into two balls. Allow the separated dough balls to rest for approximately 15 minutes. • Grease two bread loaf pans and shape each loaf in the loaf pan. 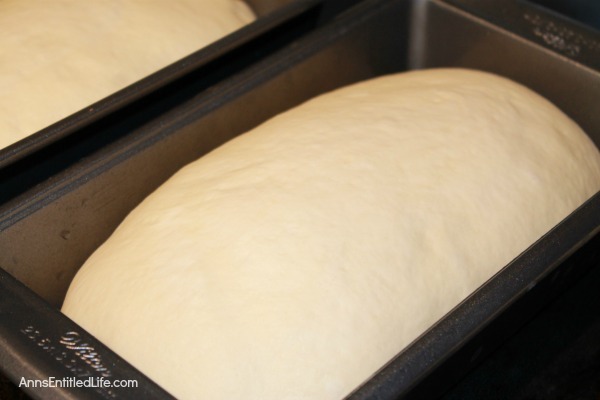 • Allow the dough to rise in the bread loaf pans, covered, for another 1½ hours. The dough should double in size. • Using a sharp knife, make a shallow slash down the length of the loaf (do not to cut too deeply into the dough). 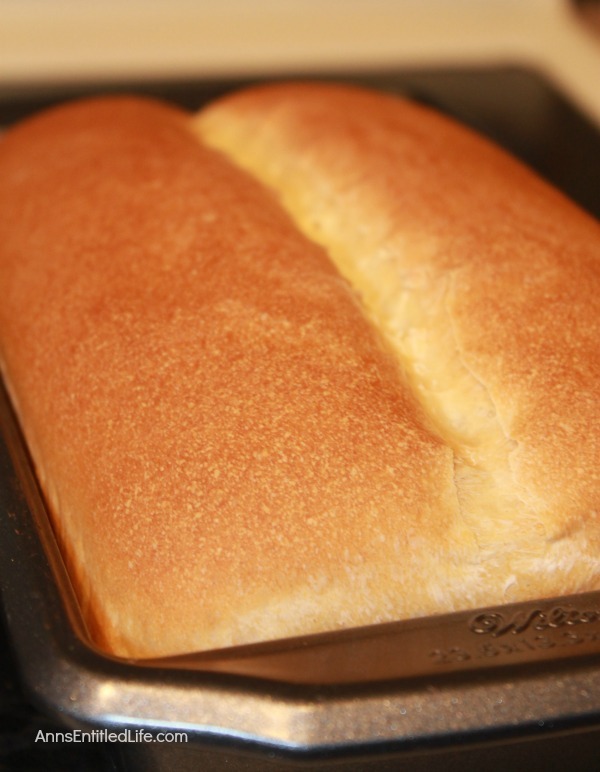 • Bake in a 375° oven for 30 minutes, until the white bread is slightly browned (do not overbake!). 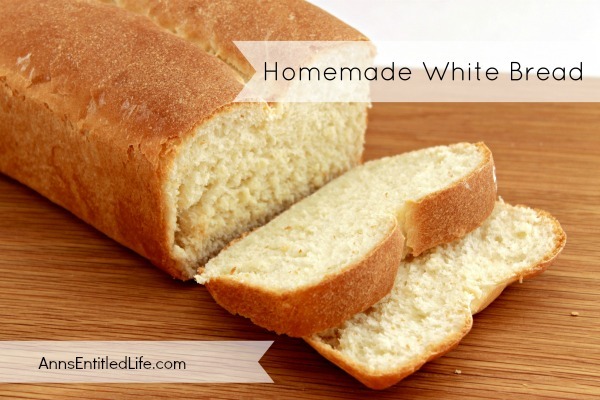 • Remove the baked homemade white bread loaves from the pan and allow to cool slightly before slicing. • My great-grandmother (my father’s mother’s mother) was off the boat from Poland. She was a fantastic baker and cook. I remember her baking bread many times when we went to visit her at her home in Ohio (she did not pass away until I was 25! I spent a lot of time on her farm). My great-grandmother’s “warm place” to allow her bread to rise was under the down comforter on her bed!! For some reason I never found that strange, just where she placed her bread to rise. An old country tip! • Store in a plastic bag at room temperature for a few days or freeze for a few months. • Add 1 cup of flour and incorporate into the milk mixture. Add the other 4½ cups, 1 cup at a time. The bread dough will start to form. If you are using a stand mixture this is the time to switch to the hook and let it knead the dough for 10 minutes. If you are not using a stand mixer you can knead the dough by hand. • Oil a large bowl and form the dough into a ball. Cover the dough ball with a towel, and alow it to rest in a warm place, until the dough ball has risen and doubled in size; approximately one hour. • Grease two loaf pans and shape each loaf in the bread loaf pan. 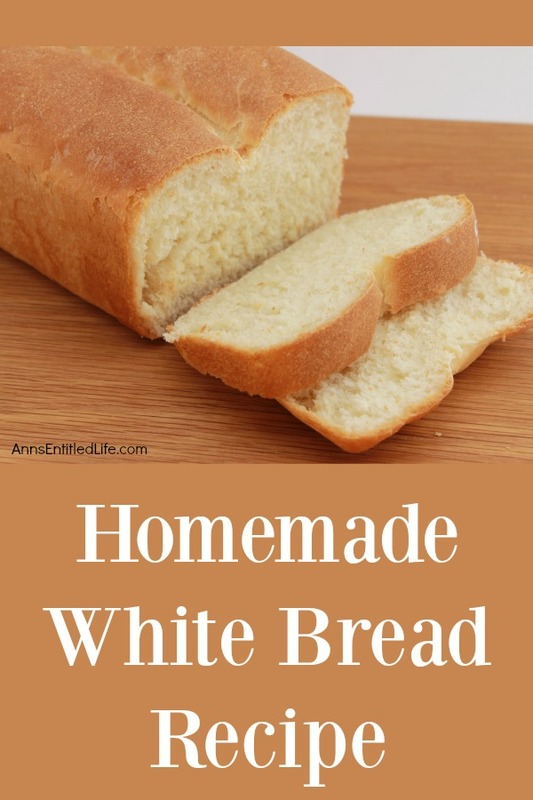 • Makes 16 servings Homemade White Bread. 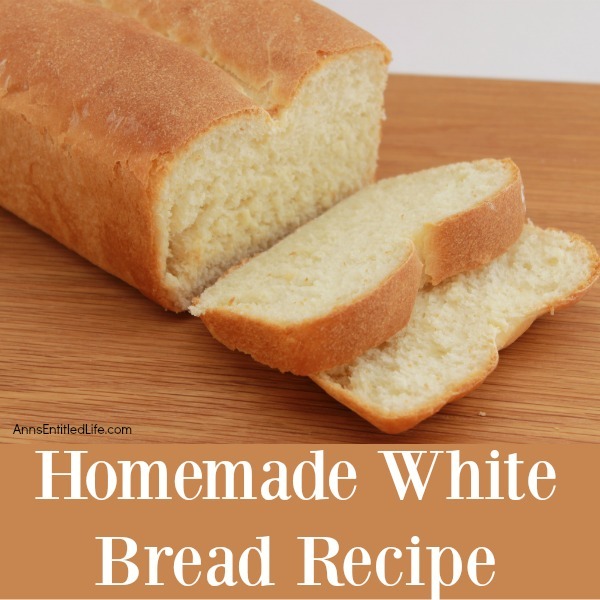 • To print the Homemade White Bread recipe, click here.